Rome (Italian Roma) is the capital city of Italy and the Italian region Latium. It is on the Tiber River and has 2.8 million people. An estimate by the OECD put the number of people of the city area of Rome at 3.47 million. The enclave Vatican City is in the north-west. Nothing is known for sure about the founding of Rome. The myth of Romulus and Remus is often told. They were supposedly raised by a she-wolf. Romulus killed Remus, and became the first king of Rome. There is no historical evidence of this, but the story is popular. After Romulus, who among other things created the Senate, there were, according to legend, six more kings: Numa Pompilius, Tullo Ostilio, Anco Marzio, Tarquinius Priscus, Servius Tullius, and Tarquinius Superbus. With the overthrow of Roman Kingdom began the Republican era. The new Roman Republic fought and conquered the people around it. In 390 BC, the town was invaded by Gauls. Between the third and second century BC, Rome fought against the rival Carthage. The Roman army captured and destroyed Carthage. 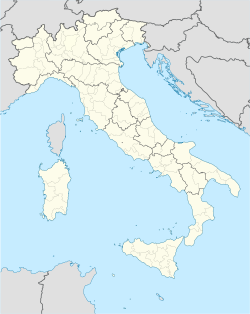 Only with Julius Caesar in the first century BC, did the city began to grow significantly, especially toward the Campo Marzio, at the north of Capitol, and its domain was extended to Britannia. Caesar was never crowned emperor, a title which, however, fell to his adopted son Octavian who took the throne under the name of Augustus. Augustus "found a city of bricks and left it of marble" and its predecessors were no less: there was no emperor who enriched its city with new monuments, temples and triumphal arches. With the decline of the Roman Empire, the city declined in importance and fell into ruin. Pope Gregory I created major reforms for the people. The city was ruled by the pope, and soon also became the capital of a state, the Papal States, which remained active until the nineteenth century. Popes, like the emperors, became richer over the centuries. The city of monuments and churches was called the "capital of Christendom", as the home of the Basilica di San Giovanni Lateran, the most important church of the world. The power of the Pope lessened along with its state. On 20 September 1870, Garibaldi's army, which had the task of uniting all of Italy under the crown of Savoy, entered the city through a breach opened in the walls at Porta Pia and, the same year, Rome became the capital of the newborn Italian state. Rome is a major European political and cultural center, containing the HQ headquarters of FAO. It is home of the pope and was one of the most powerful cities of antiquity (the old world). It currently contains numerous museums, basilicas and palaces, such as the Colosseum. Rome has a hot-summer Mediterranean climate (Csa in the Koeppen climate classification). Rome is an educational place in Italy. The children in Rome have to start school from the age of six until 14. This takes them to the end of junior high school. Rome has the biggest university in Italy and it is named University of Rome. It was created in 1303. About 200,000 students go to study at this university. Rome has an airport, which is named Leonardo Da Vinci International Airport (IATA: FCO). In Rome, there are also two underground lines (called "Underground A" and "Underground B") and many bus paths. ↑ OECD. "Competitive Cities in the Global Economy". http://213.253.134.43/oecd/pdfs/browseit/0406041E.PDF. Retrieved 2009-04-30. This page was last changed on 19 November 2014, at 20:28.